I'm just here to answer questions. Wow. First few posts in here huh. Welcome back everyone. Once you get here. First post. Just got my 308 RPR Friday. Read most of the last two threads over at Scout. Awesome info in here. Hope to get to shooting it soon. Even thinking of doing a shoot in two weeks just for fun. ^ Nice. I have the .308 as well. I'm sure you'll be very satisfied. So I see you can get the 175 SMK's with a moly coating. Anyone ever use moly coated bullets? Notice much of a difference? Good to see people making it over from Scout to the new........old SH. Finally got to shoot mine with the Timney trigger. Awesome. Well 1300 rounds down the factory barrel. The throat has grown to a point where I can't load in a mag and still be .020 off of the lands. 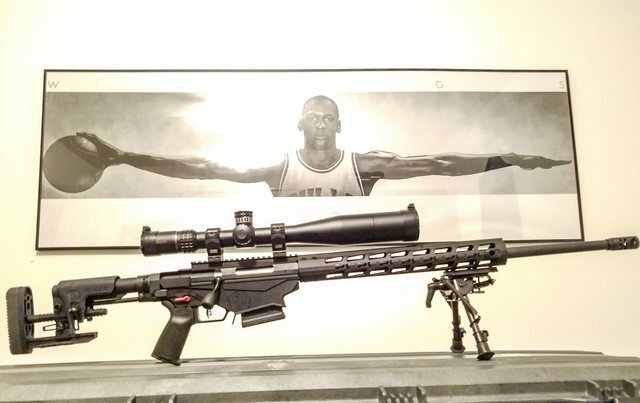 The rifle still shoots sub-half moa though so I'm still staying with the factory 6.5CM barrel. How much life should I expect from this barrel....2,000, 2,500.... what say ye? Yeah I got locked out cause I didn't realize I'd have to register again with this user name. I'm all good with this site. The LS has had several and still has a .308 for $1249.00 and it keeps calling my name............I was thinking about getting it for my wife, you know for Valentines day. Chad, where is that range? That's amazing! ^ Nice! So how does it shoot?? CTK Precision magazine release extension. New ambi safety in the works and possibly the Timney trigger. Thanks for Wheeler AR vise info! How is the new Timney? I think I need one. 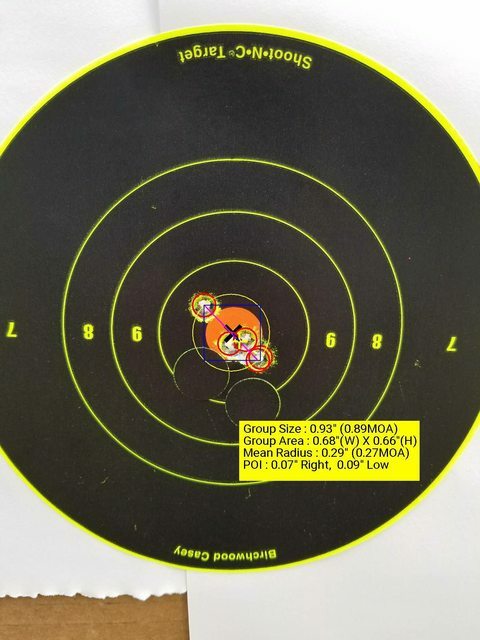 I've only got about 20 rds on the Timney, but I love it. Its the sac valley range, their 1,000 yard range in northern Cal. They were popular a few years back but I think some folks are concerned with the moly being left in the barrel and hard to clean out. Also something about trapping moisture under the coating and causing corrosion. Do a search on moly coated bullets before buying any. I thought that looked like sac valley. I hear it's nice. Hey thanks for the heads up. I thought they might squeeze a little more velocity out of my 20" barrel, but I'll steer clear of them. It's nothing I really need anyway. Wish I could give you some 1000 yd data, furthest opportunity I've had is 488. I'm using the same load but with only 43.2 gr Varget. So if yours are grouping well at 488, I'd expect them to do just fine at 1000 as well. Anyone one else with an opinion on the Timney triggers? The factory trigger isn't bad but I like the idea of not having the accutrigger type blade thing. Just FYI if you do go the Timney route, the best price I've found is Anarchy Outdoors. It will show $219.99 , but if you put in rprtimneytribe all as one word, it will knock off $20. Anyone have a 6mm Creedmoor RPR yet? Picking up a Gen 1 308 this afternoon. I've read where most people are switching out the bolt shroud. Is that purely an aesthetic change or is there a performance/reliability enhancement? I have a RPR 6.5CM with an LRI bolt shroud, Magpul stock, and Timney trigger. 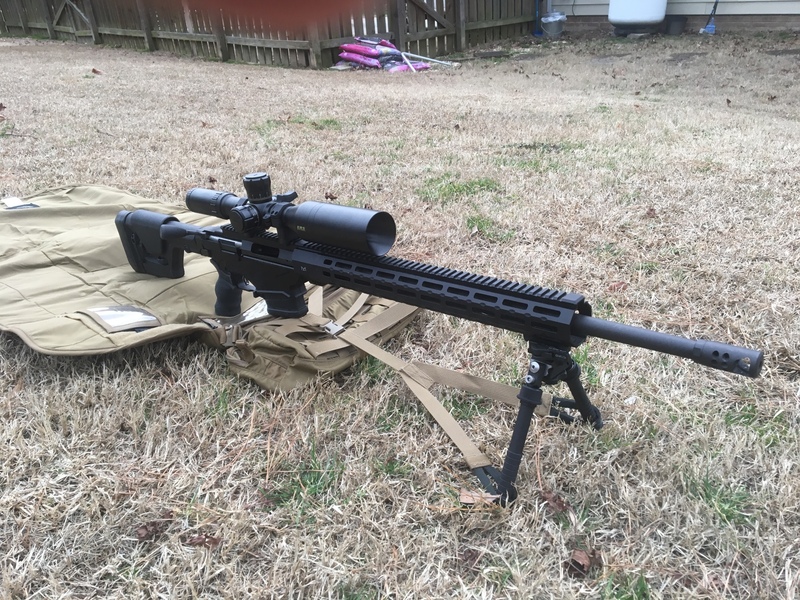 Im just replaced my Vortex Viper PST 6x24 with a Burris 8x40. What scopes are you using? Would love to get a NF but don't have the cash. Love my Timney! I like a very light trigger and have it dialed down to 12 oz. Much better than the stock trigger IMHO. Haven't looked through a SWFA. Have to give it a try. 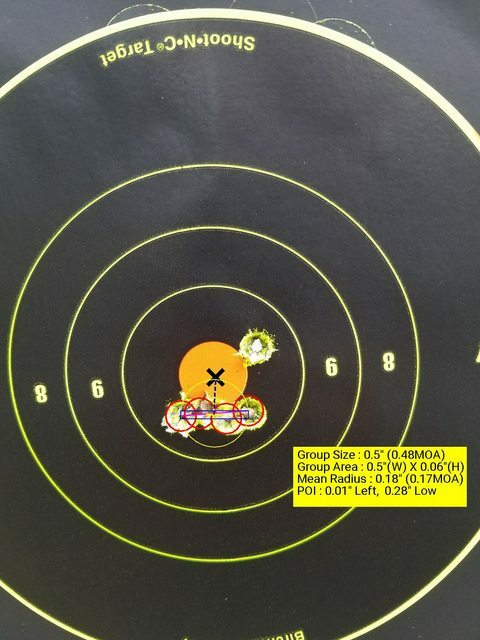 Here's a couple pics of some of my better groups from 100yards. 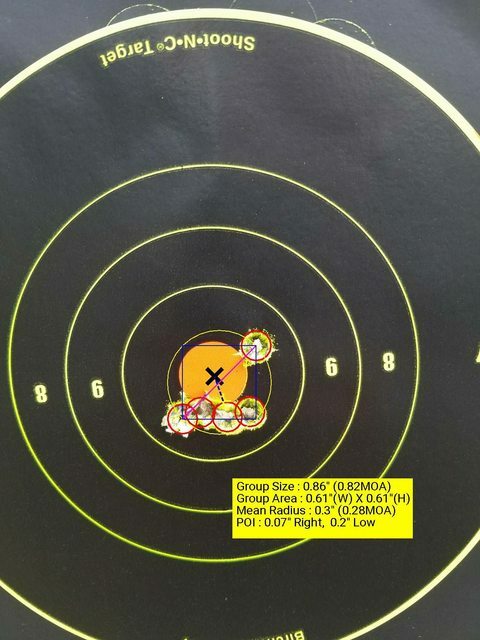 These were shot with Hornady super performance 129gr factory loads. I've got a lot to learn and bad habits to break but I am really looking forward to getting more time behind this baby. I ordered the 308w in a 24" Barrel now I'm debating whether I want to go to the 6.5. As I'll be tempted to shoot out to 1000yards.